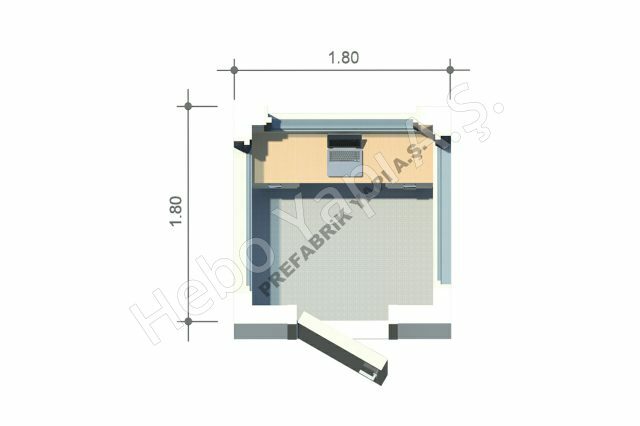 Hebo Yapı A.Ş. , the importance and sensitivity we attach to the safety of life has always prompted us to develop new products and always do better. As a result of our approach, B6 and B7 armored safety cabin products have been developed. According to the existing products in the sector, our B6 and B7 armored safety cabins, which offer countless advantages, are important products produced with the latest technologies. At the same time, the B6 and B7 armored safety cabins produced for defense, offensive, reconnaissance and observation come out as a product that will bring sound in the sector with the different solutions and different designs to meet different needs. 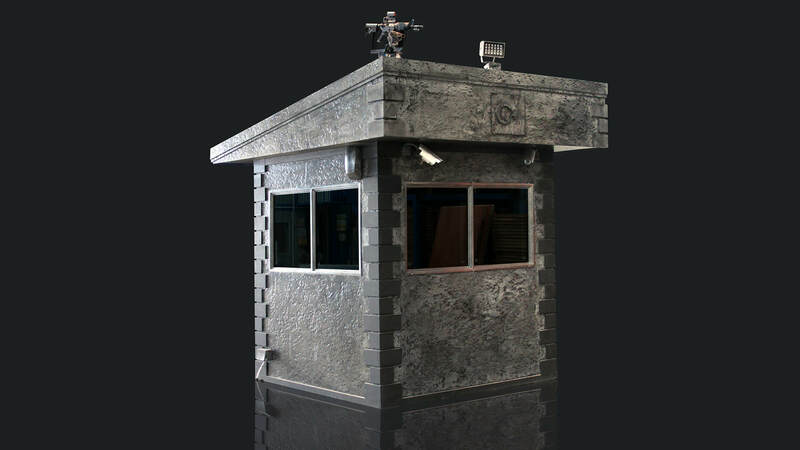 Our armored security cabins can be used in all kinds of areas where there is a risk of attacks against life and property with long barreled weapons and alarms, siren arrangements, camera systems, assault weapons can be mounted to the armored structures , if desired. It is a product that allows security personnel to perform their duties without being harmed, in all environments where security risks are involved, especially at embassies, consulates, police stations, military buildings, police stations, bank centers, international meeting centers, private companies. It has been specially designed to prevent from the attack and similar offenses with firearms or guns, to deter the offense or to facilitate the arrest of the offender after the attack. For centuries, life safety has been a crucial issue in which new products are introduced to the market by constantly making R & D work for each sector. 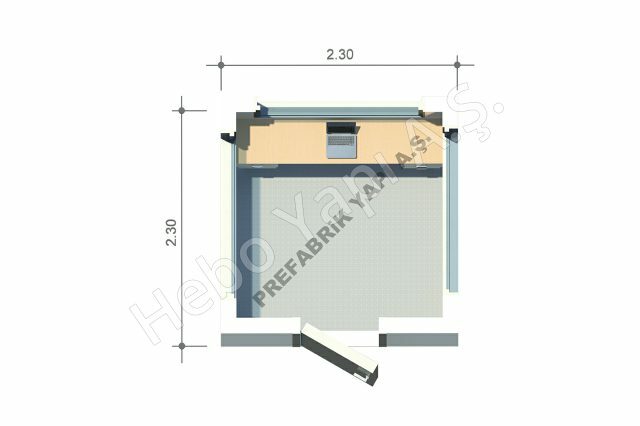 So, with its new product B7 Armored Security cabin, which Prefabrik Yapı A.Ş. developed for this sensitive issue also offers many different advantages to its users. The B7 armored security cabin produced for defense, offensive, reconnaissance and observation purposes, the solutions offered by meeting different needs, and the different design, presents a challenge as a product in the sector. The B7 Armored Security cabin can be used in any kind of area where there is a risk of attacks against life and property with long barreled weapons and alarms, siren arrangements, camera systems, assault weapons can be mounted to the armored structures , if desired. It is a product that allows security personnel to perform their duties without harm, especially in all environments where security risks are involved, especially embassies, consulates, police stations, military buildings, police stations, bank centers, international meeting centers, private companies. It has been specially designed to prevent the attack and similar offenses with firearms or firearms, to deter the offense or to facilitate the capture of the offender after the attack. The B7 Armored Security cabin is capable of recording and monitoring the outdoors by providing maximum protection inside the security personnel in the event of an attack, thanks to the external and internal cameras. At the same time, a central security unit monitors the inside of the security cabin to keep track of the situation of the personnel inside at the time of an attack. In the B7 Armored Security cabin, there is a siren system to panic the attacker in the event of an external attack. With the siren system, the attacker is surprised and at the same time the surrounding area is effectively informed about the attack. The B7 Armored Security cabin is equipped with a gun system that can be mounted, the target can be laser marked and fired from inside the security club, and if necessary, the attacker is neutralized. Thanks to the command control panel located inside the cabin, all image and weapons system controls are managed from inside the cabin by the relevant security officer. The most important feature of the B7 Armored Security cabin is the technological observation, the weapon system and so on. Systems integration can be used not only for defensive purposes but also for attack purposes. The security personnel who will serve in the B7 Armored Security cabin will be able to protect the life of the personnel, warn the necessary centers, keep the necessary records and even attack. Thus the real purpose of security protection can be achieved. Hebo Yapı A.Ş. Except for light steel prefabricated buildings, containers, prefabricated houses, cabins, warehouses and hangars, which are produced with more than 20 years of sector experience, they continue to offer brand new products to their users with this new product.